Studs Terkel was born May 16, 1912. Below are picks chosen by PRX editorial staff. You can find more pieces appropriate for Studs Terkel Centenary by using our search. For many years, Transom editor Sydney Lewis worked side by side with Studs on his radio show and his books. For this remembrance, told in a seamless blend of documentary and reminiscence, she brings together of crew of Stud's co-workers with their great stories along with wonderful previously-unheard tape of Studs himself. For many years, Transom editor, Sydney Lewis, worked side by side with Studs on his radio show and his books. For this remembrance, told in a seamless blend of doumentary and reminiscence, she brings together of crew of Stud's co-workers with their great stories along with wonderful previously-unheard tape of Studs himself. Note: Studs would have been 98 on May 16, 2010. Born to Live is Studs Terkel’s remarkable Prix Italia-winning audio collage program (produced with Jim Unrath) that first aired in 1962 and serves as an example of radio’s potential to expand listeners’ view of the world. This one-hour program features the voices of the following people: Myoko Harubasa and Joan Takada; Perry Miranda and a Chicago street boy; A Midwest Surburban Couple; T.P. Amerasinghe; Alexander Eliot; Lillian Smith; The Weavers; Simone de Beauvoir; James Baldwin; Miriam Makeba; Georgia Turner; Gwendolyn Brooks; Bessie Smith; Salvatore Baccaloni; Members of the cast of Brendan Behan’s play “The Hostage”; Pete Seeger; William Sloane Coffin Jr.; Sean O’Casey; Shanta Gandi; Mahalia Jackson; John Ciardi; Enrico Caruso; Bertrand Russell; Buckminster Fuller; Nicolai Pogodin; Arthur C. Clarke; Harlow Shapley; The Writings of J. Bronowski; Carl Sandburg; ….and a mother and child. 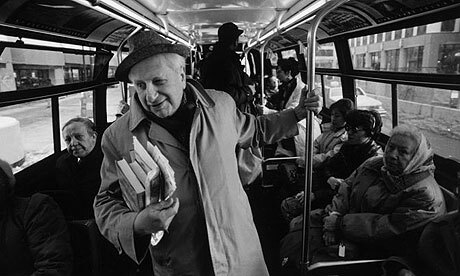 Studs Terkel would be 100 today! We mark the occasion with an excerpt from the radio doc "Working with Studs." Today, HowSound marks the 100th birthday of Studs Terkel -- America's interviewer. Who didn't Studs interview?! He chronicled the life of 20th century America from the ground up in books like Working, Race, and The Good War. Syd Lewis worked with Studs for a good twenty-five years. Syd's an oral historian in her own right and has published several books. On this HowSound I chat with Syd about Studs and we feature an excerpt from her hour-long documentary "Working With Studs," produced by Atlantic Public Media. You can hear the entire documentary at PRX. And, speaking of PRX, you can find a slew of programs about Studs there. Listen to all of 'em. Why not? He listened to all of us. Acclaimed oral historian Studs Terkel believes when it comes to action, there is strength in numbers. HOST INTRO: Studs Terkel has spent a life listening to other people's stories, and passing them on. It has been his way of encountering the world. We wanted to turn the microphone on him, to hear the story of HIS beliefs. So, here is Pulitizer Prize-winning oral historian Studs Terkel with his essay for This I Believe. ESSAY TEXT: My own beliefs, my personal beliefs, came into being during the most traumatic moment in American history, the Great American Depression of the 1930s. I was 17 at the time, and I saw on the sidewalks pots and pans and bedsteads and mattresses. A family had just been evicted and there was an individual cry of despair, multiplied by millions. But that community had a number of people on that very block who were electricians and plumbers and carpenters and they appeared that same evening, the evening of the eviction, and moved these household goods back into the flat where they had been. They turned on the gas; they fixed the plumbing. It was a community in action accomplishing something. And this is my belief, too: that it's the community in action that accomplishes more than any individual does, no matter how strong he may be. Einstein once observed that westerners have a feeling the individual loses his freedom if he joins, say, a union or any group. Precisely the opposite's the case. The individual discovers his strength as an individual because he has along the way discovered others share his feelings, he is not alone; and thus a community is formed. You might call it the prescient community or the prophetic community. It's always been there. And I must say, it has always paid its dues, too. The community of the '30s and '40s and the Depression, fighting for rights of laborers, and the rights of women, and the rights of all people who are different from the majority, always paid their dues. But it was their presence as well as their prescience that made for whatever progress we have made. And that's what Tom Paine meant when he said: "Freedom has been hunted around the globe; reason was considered as rebellion; and the slavery of fear made men afraid to think. But such is the irresistible nature of truth that all it asks, all it wants, is the liberty of appearing. In such a situation, man becomes what he ought to be." Still quoting Tom Paine: "He sees his species not with the inhuman idea of a natural enemy" - you're either with us or against us, no. "He sees his species as kindred." And that happens to be my belief, and I'll put it into three words: community in action. Despite his best efforts, like the very establishments he excoriated, Studs Terkel became an American institution. A man of the people, he was also an unapologetic liberal and intellectual in a culture where neither is especially popular. In this program, drawn from a nonstop three-hour conversation in the final years of his life, Studs reflects on a life spent listening to the battered but unbowed spirit of ordinary and extraordinary Americans. In celebration of Poetry Month the WFMT Radio Network offers three short programs featuring highlights from the Studs Terkel Radio Archive and new commentary by poet and president of The Poetry Foundation Robert Polito. These are the first in a forthcoming series of programs from the Studs Terkel Radio Archive. These programs may be broadcast and/or embedded on stations’ websites. Studs Terkel interviews Pete Seeger on the culture of folk music. Includes one hour interview and 7 breakout segments from the interview by Studs Terkel at WFMT/Chicago in 1955. Roger Ebert, world renowned film critic, journalist, screen writer and social commentator passed away on April 4, 2013 at the age of 70. 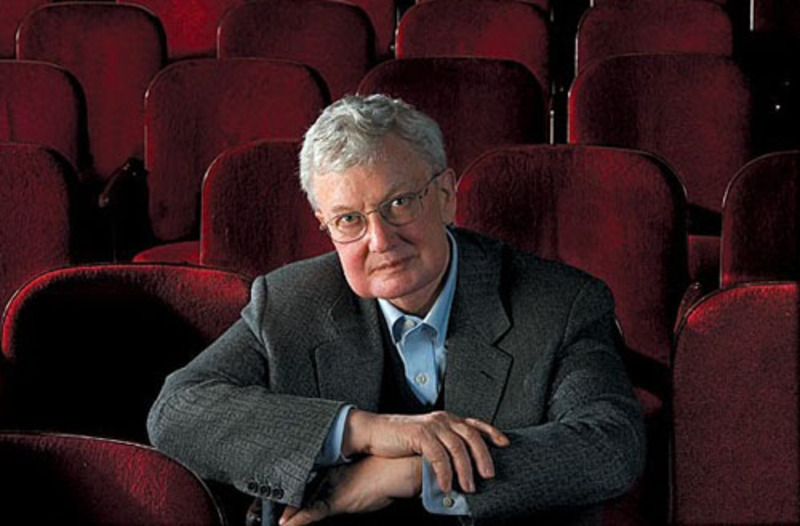 Ebert reads a section of his book regarding the experience of movie goers as the films they watch become memories of their own lives. Ebert and Terkel discuss movies as memories, the anti-hero, and gangster films. Together they read the story of how the writer of Scarface (Ben Hecht) convinced Capone’s men that the movie is not about Capone. Ebert and Studs discuss Charlie Chaplin, his brilliance and fame, and the universality of silent films. Ebert and Stud’s discuss W.C. Field’s changing popularity, insecurities, and disgust for babies. Together they read a story of Field’s spiking Baby Leroy’s bottle from Ebert’s text. Ebert relays the often overlooked importance of Westerns in American Film and their international appreciation and fame. Ebert and Studs discuss Fellini’s films, in particular Ebert’s favorite, La Dolce Vita, and Stud’s favorite, La Strada. Together they explore Fellini’s directorial decisions and style. Also included are two unedited files which contain the entire conversation between Studs and Robert.